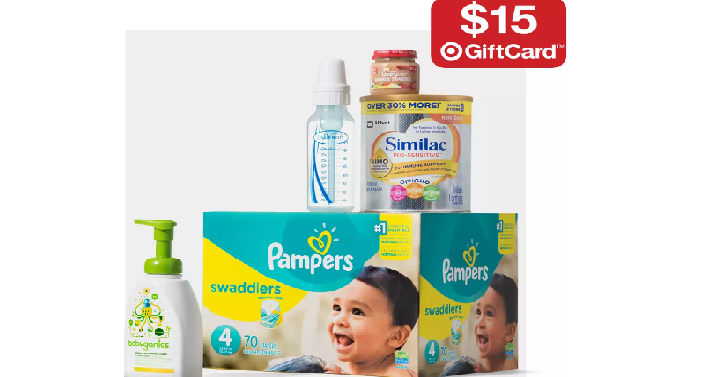 Target: Get a FREE $15 Gift Card with $75 Baby Purchase! For a limited time only, Target offers a FREE $15 Gift Card with select $75 Baby Purchase! This is the time that I love to stock up on diapers and wipes since we go through them so fast. Then I use the gift card for more! Plus, use your Target REDcard to save an additional 5% off and score FREE shipping.